Eric B. Leavitt, M.D., is a board-certified physician in otolaryngology and head and neck surgery with nearly 25 years of experience. His special interests include endoscopic sinus surgery and pediatric ENT. 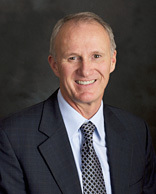 Dr. Leavitt has served as member of the board of the Spokane Medical Society. 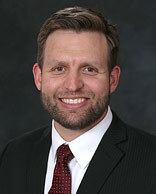 He is also past vice-president and president of the professional staff at Valley Hospital and Medical Center. Eric B. Leavitt, M.D., is a board-certified physician in otolaryngology and head and neck surgery. His special interests include endoscopic sinus surgery and pediatric ENT. 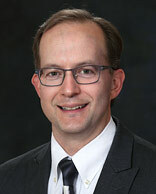 Dr. Leavitt has served as member of the board of the Spokane Medical Society. 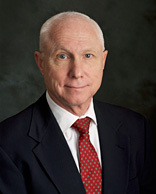 He has served as the president of the professional staff at Valley Hospital and Medical Center. Dr. Leavitt enjoys water skiing, snow skiing, four wheeling, photography, hiking and spending time with his family. Charles Benage, M.D., is a board-certified physician in otolaryngology/head and neck surgery. His special interests include pediatric ENT, surgery of the ear and facial trauma. He is a member of the American Academy of Facial Plastics and Reconstructive Surgery, the American Academy of Otolaryngology and Head and Neck Surgery and a member of the Board of Trustees of the Spokane County Medical Society. Dr. Benage loves to spend time with his family, as well as sailing and flying. 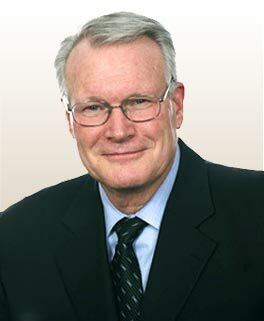 Geoffrey Julian, M.D., is a board-certified physician in otolaryngology and head and neck surgery. His special interests include pediatric ENT, surgery of the ear, and head and neck surgery, including thyroid tumors. Dr. Julian is associated with a number of professional organizations, including the Spokane Medical Society, the Washington State Medical Society, and the American Medical Association. He and his wife are raising four boys and a daughter. He is also very active in his family’s church. He loves the four seasons in the Inland Northwest. Nicholas Van Buren, M.D., is a board-certified physician in otolaryngology and head and neck surgery. His special interests include surgery of the ear, endoscopic sinus surgery, thyroid surgery, and pediatric ENT. He is a member of the American Academy of Otolaryngology-Head and Neck Surgery. Dr. Van Buren is an undergraduate of Western Washington University. He enjoys camping with his family, fly fishing, basketball, golf and rooting for the Mariners. Omar Husein, M.D., is a double board-certified physician in otolaryngology and facial plastics and reconstructive surgery. He specializes in craniofacial reconstruction (cleft lip, cleft palate, microtia, and repair of other congenital deformities), facial trauma (lacerations and fractures), as well as reconstruction of skin cancer (post Mohs resection) and other head and neck cancer deformities. Dr. Husein has received special training in cosmetic surgery alongside national leaders in the field. His services at Spokane Valley ENT and Facial Plastics include facelifts, endoscopic browlifts, neck lift, eyelid surgery, rhinoplasty, otoplasty (ear shaping), lip augmentation, scar revision, fat grafting, wrinkle filters, and skin care. 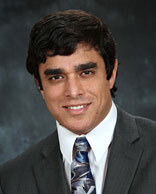 Dr. Husein enjoys soccer, tennis and spending time with his family.